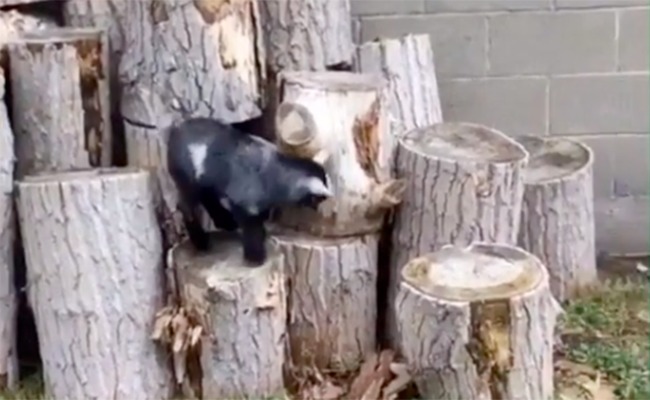 This baby goat makes a pile of wood look like the most fun thing ever. Caution :This video causes a big smile. Thanks. Baby goats are fun to watch.